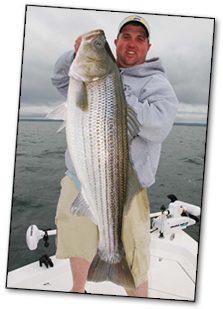 Fish Mounts by Northeast Taxidermy Studios - Northeast Taxidermy Offers the highest quality fish mounts and fish replicas to remember your great catch. Cyr BBQ, LLC - Started in 2006, CYR BBQ, LLC is a mobile catering service specializing in New England Clambakes, , BBQ and pig roasts . Pitmaster Chad Cyr has over 20 years culinary experience, specializing in BBQ over the last 10 years. We make it easy for you to enjoy the taste of delicious foods that take hours to prepare using only the highest quality meats and seafoods available. Let us take the stress out of cooking while you enjoy your next event. Find us in April at The Fishin' Factory 3 in Middletown. Palm Tree Creative, LLC - Joe D'Ambrose of Palm Tree Creative designed the website for the Fishin' Factory 3. Trusted by more than 200 clients nationwide, Palm Tree Creative works with small to medium sized businesses, offering affordable website development & hosting, as well as design & print services. Bluefin Sportfishing Charters - Are you interested in sportfishing or a lighthouse cruise? 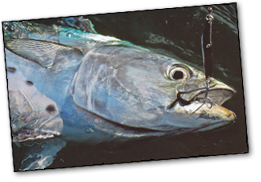 Have Bluefin Sportfishing Charters make your trip enjoyable with our expert and friendly service. For sportfishing enthusiasts, come aboard for Bass, Blues, Fluke, and Blackfish inshore, or for the more adventurous, Shark, Tuna, Marlin, and Swordfish offshore. From Long Island Sound to Block Island, or to the beautiful waters of the Atlantic. Come and experience it first hand on the 38' Phoenix Sportfishing yacht, BLUEFIN, with Captain Mike Marro who was featured in Sport Fishing Magazine. Pizza Palace Middletown - Middletown's First Pizza Restaurant - For More Than 55 Years! Take out or dine in! All our food is freshly prepared and made on the premises. Catering also available. Located at 725 South Main Street in Middletown, Connecticut. Call Today at (860) 346-4887.